Potsie sets Richie up with a girl known to have a reputation. 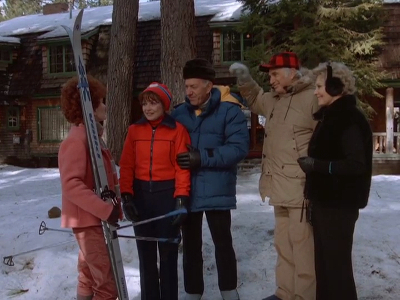 Richie doesn't get far with her but leads Fonzie and others to believe he did. Richie and Potsie obtain fake identification cards in order to attend a burlesque show where Ralph says Bubbles McCall takes it all off. 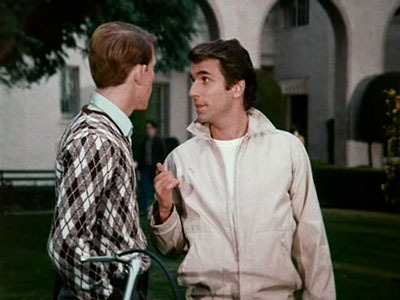 After taking a look at a B+ Potsie got on an exam, Fonzie decides to drop back into school. He asks Richie to do his homework and cheat for him.